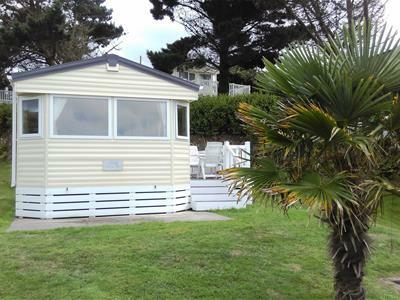 Situated in a picturesque, well maintained and managed holiday park is this well presented 2 bedroom holiday home. The accommodation comprises of an open plan living area, 2 bedrooms, a shower room with WC and a separate WC. There is an allocated parking space adjacent to the chalet and a decked area for outside dining. The site has a range of leisure facilities including a heated indoor pool, sauna, gym, golf course and a club house. The annual maintenance charge of approximately £4500 covers the upkeep of these facilities. The sought after coastal village of Praa Sands is situated between the market town of Helston and the seaside town of Penzance. The village has a post office/ general store, restaurant and public house. The village is probably best known for its south facing, sandy beach and is popular with surfers. The nearest primary school and church are situated in the nearby village of Germoe and a more comprehensive range of amenities can be found in the towns of Helston and Penzance.